Whether you’re launching a new store or revamping an existing site, beyond the products you sell, shopfitting has perhaps the most influence on customer buying decisions in a bricks-and-mortar retail environment. The aim of shopfitting design is to get people to come into the store, to encourage them to stay for as long as possible and to get them to buy. This is achieved through layout design, materials and display techniques. From the initial plans, your shopfit should take into consideration the customer journey through the shop. What do they see in the window, what greets them when they enter, what route are they encouraged to take, how do they find products or information, and how to they access customer services or payment areas. The first question to discuss with a shopfitting designer is the customer journey through your store. From the moment a customer enters, display stands, signage and walking routes should be designed to guide the customer on the path you want them to take. But this should be balanced with convenience; can customers shop your store quickly if they need to? Can they find what they want and get to it? Signage and accessibility of customer services, changing rooms and tills are also part of the customer journey. 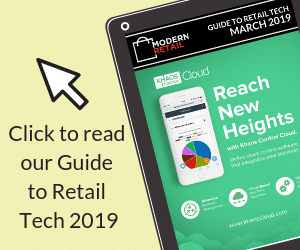 Large supermarkets use customer journey routes through the store to position attractive offers and draw attention to products; display areas at the ends of aisles are used for prominent offers because customers slow down at this point in navigating the store. Your shopfit doesn’t just cover what customers see when they come into your store. The design must also incorporate the back-of-house functions – warehousing or product storage and shelf-stacking systems, for example. Lighting should form a key part of a shopfit design, working in conjunction with display furniture and helping to guide customers through the store. See our full article on instore lighting here. How much product you display at one time will depend on what you are selling, and the message you want to send with your design. The shelves of a large pound store will be crowded with product, with many of the same item on the shelf, because sales volumes are high, margins small and the brand message is to pile it high and sell it cheap. In contrast, a luxury store will display a minimal amount of product, perhaps only one of each item at a time. The Jo Malone store displays an extremely limited number of beauty products on stark white display stands and shelves, highlighting their brand message of exclusive luxury. In a modern retail environment, technology is a key part of retail design. Aside from tills, current technology includes plasma screens for product display, interactive technology to deliver product information and smart beacons to communicate with customers as they move through the store. If you have a limited budget for shopfitting, a key consideration will be flexibility. Do you want to reconfigure your shop to showcase different products or promotions? Reconfiguration is likely to be limited by the space available; a small shop floor may only offer scope for one arrangement. But you could consider using movable racks and shelves to make reconfiguration easy. Design gallery Spacecraft in Melbourne use wheeled racks and low, light display units in an unadorned space, combining easy configurability with a stylish vibe. Many shopfitting companies offer design services as well as fitting, but you may want to consider employing a separate designer to come up with a plan to be passed on to a fitting company.